Lock your doors! Lock ‘em, bolt ‘em, set the alarm systems or whatever you have to do to prevent your roommates, your kids, (or worse) your parents from walking in on you and your bed buddy getting TwistedTM! 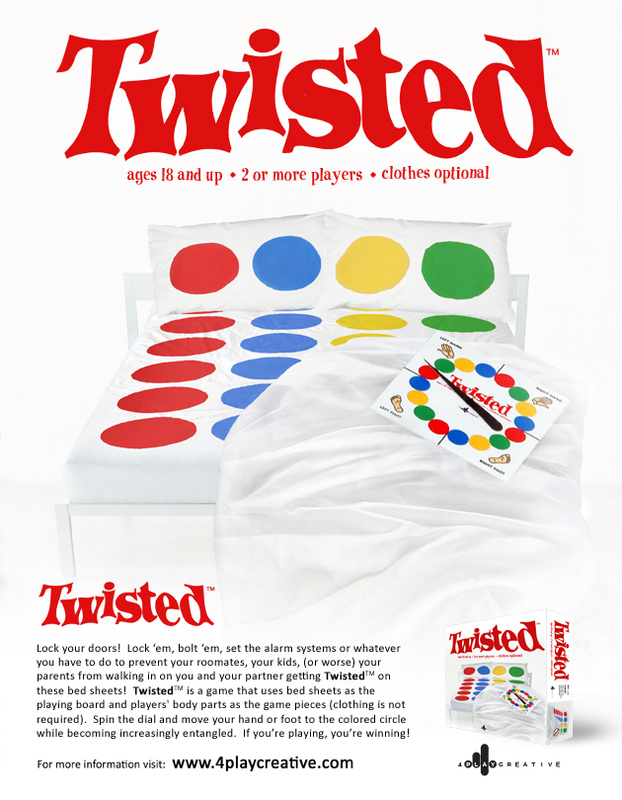 TwistedTM is a game that uses bed sheets as the playing board and players’ body parts as the game pieces (clothing is not required). Spin the dial and move your hand or foot to the colored circle while becoming increasingly entangled. If you’re playing, you’re winning! 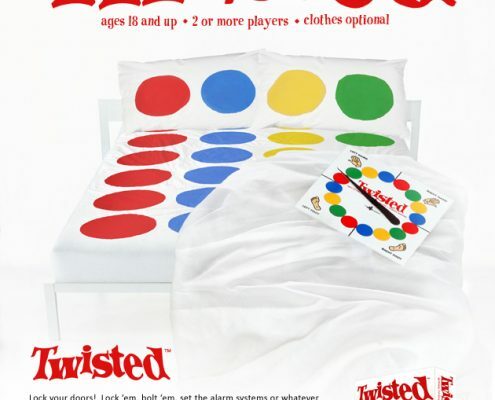 The TwistedTM bed sheets were also featured on CBC’s Dragons’ Den, Season 6 – Episode 2 and can be viewed on Netflix in Canada as well. It’s been in numerous magazines such as Chatelaine, Cosmopolitan and Glamour.